There are many reasons people fear going to the dentist. For some, these dental phobias are deep seeded, originating in childhood. Perhaps they had an unpleasant experience while getting the Novocain injection, or they were not completely numb before the dentist started drilling a cavity. Maybe a dental hygienist scrapped gum while scaling tartar buildup. Whatever the reason, it is easy to see why someone may be fearful of the dentist after a distressing procedure. A small percentage of people even swear they will never return to the dentist unless it is an absolute emergency. No one likes to feel pain or anxiety. However, it is paramount that you take proper care of your teeth. Did you know that your oral health affects your overall health? Therefore, we have some excellent tips to overcome your fear of the dentist. Because when your teeth are healthy, your body is healthy. Ask around for recommendations for a dentist from family and friends. Read internet reviews. Search for practices that specialize in patients who have dental anxiety. From the moment you schedule your appointment be clear with your dentist and staff regarding your fears. Ask if you can come in ahead of time for a tour and to meet everyone so that you can become comfortable with the place and not have any surprises. Look for a dentist that listens patiently and without judgment. Seeing a tray of unfamiliar sharp unnerving instruments is enough to make anyone want to turn and run. Ease your fears by asking the dentist or hygienist to explain what the tools are and their function. Depending on your level of anxiety, ask if you can familiarize yourself by touching and handling the devices. Ask your dentist or hygienist to walk and talk you through every step of the visit. Have them explain what is about to happen, what it may feel like and ask your permission before starting. Also, establish a nonverbal signal that you can indicate whether something is making you feel anxious, and you need a break. A patient, understanding dentist, will allow time for breaks so that you may ease into the procedure. Also, make sure to break often during to recompose yourself. Bring someone you trust with you. They can calmly talk to you before the appointment, and ensure you remain that way throughout. This person can also act as your advocate throughout your visit. Ask to be examined in a seated rather than a reclined position. Use nasal strips if you are worried about struggling for air. Ask the dentist about applying topical anesthetics before injections. If you are incredibly nervous, consider nitrous oxide or oral sedatives. Many folks are distressed by the sounds of drills and suction tubes. Reduce or eliminate these unnerving sounds. Wear earplugs, or noise-canceling earphones and listen to your favorite music. Distract yourself and plug into the office TV or watch a favorite show or movie on your tablet. Try meditation, visualization, or breathing techniques. These relaxation methods make a huge difference in helping you deal with dental anxiety. Slow dental work is better than no dental work. So, take a few weeks or months to finish a complicated procedure. Do a little bit at a time to keep your fears at bay. Take good care of your teeth, always. Brush and floss daily. Eat tooth-friendly foods. Get your teeth professionally cleaned and examined twice a year. When your teeth are healthy, they are less likely to need invasive corrective procedures. Additionally, good dental health affects overall health. 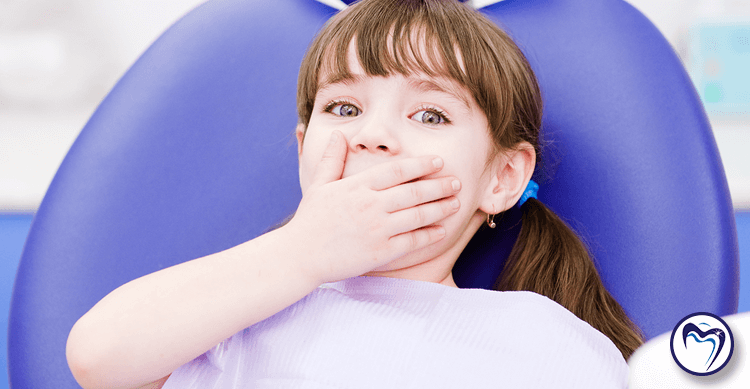 Hopefully, these tips to overcome your fear of the dentist will give you the tools necessary to combat your dental anxiety. The caring staff at Denise Dental Associates is always patient and compassionate. We have extensive experience helping our patients be at ease from the moment they arrive, to the completion of any procedure. Contact us today to schedule your appointment and experience the Denise Dental difference.